More than 500,000 animals enter California shelters each year—some, of course, are simply lost and are quickly returned to their owners. Others are strays with no identification. Sadly, way too many are there for one reason: they’re old. Senior animals are frequently abandoned at shelters because their owners experience changes in lifestyle or are concerned about the potential cost of treating their pet’s deteriorating health. Often, assistance is hard to find, and owners feel they have no choice but to say goodbye at the shelter intake counter. A senior pet is loosely defined as a pet 7 years or older, and these pets in their “golden years” typically have to wait longer for an adoptive family than younger pets. The misconception that older dogs are broken or defective is prevalent in many people’s minds, and potential dog owners worry that adopting a senior dog will mean saying goodbye sooner than they’d like. Thankfully, despite the myths, the Grey Muzzle Organization (greymuzzle.org) reports that senior dogs are being adopted at increasingly higher rates. Social media provides an instantaneous platform to share photos and stories, raise funds, chat with supporters, and celebrate adoptions. Thanks to social media, you can witness and participate in an animal’s entire journey, from shelter to rescue to forever home. Taking it a step further, many adoptive pet parents start social media accounts for their pets to continue to support the organization they adopted from, and of course, to share the daily shenanigans of their new furry family member. 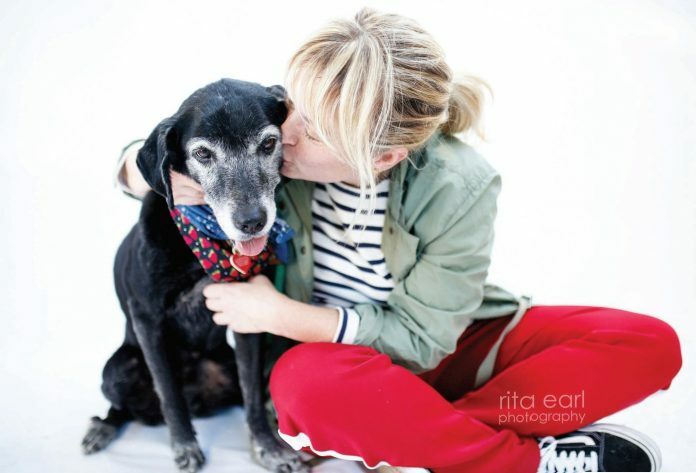 Photographer and senior dog mom Rita Earl Blackwell spends as much time as she can photographing shelter dogs, in an effort to help them get seen by rescues and the general public. 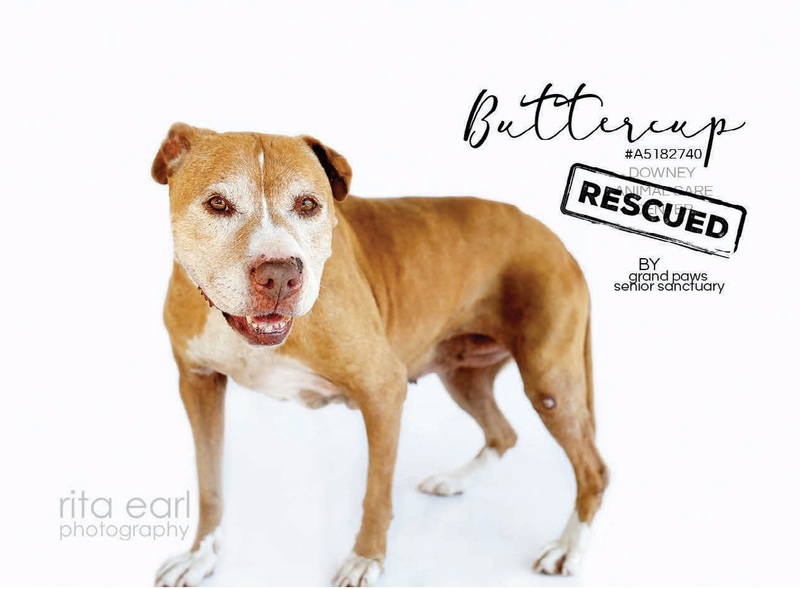 Blackwell has photographed thousands of shelter dogs in her career and says she is drawn to the seniors because she hopes to show people what they are missing. Her images of shelter dogs capture their spirit and personality and transform them from “sad old dog” to beautiful soul. Adopting an older dog from a shelter may literally save its life. And if you choose to adopt from a rescue, then you’re making it possible for the rescue to save another life. Adding an older dog to your family comes with some great benefits. A more mature dog is more likely to be house-trained and know a few basic commands. Older dogs are typically more calm and don’t require the constant energy that a puppy might. Older dogs are content with a warm, comfy spot to nap and hang out with you. Dogs are loyal companions and just want to make us happy, no matter how old they are. Often, people are wary of adopting an older dog because they fear the unknowns of veterinary care, underlying illness, and the financial commitment that may be required with an older dog. Some people fear that adopting a senior pet means having to say goodbye too soon. Both concerns are valid, and senior rescues are meeting compassionate adopters halfway, through foster programs that cover all expenses. Frosted Faces Foundation, for example, has several foster programs that may cover up to 100 percent of the medical support required. One segment of their foster program is called The Forever Foster, where a dog “who requires hospice care or costly long-term treatment for a chronic disease” is placed in a loving foster home, and all medical expenses are covered by the foundation. 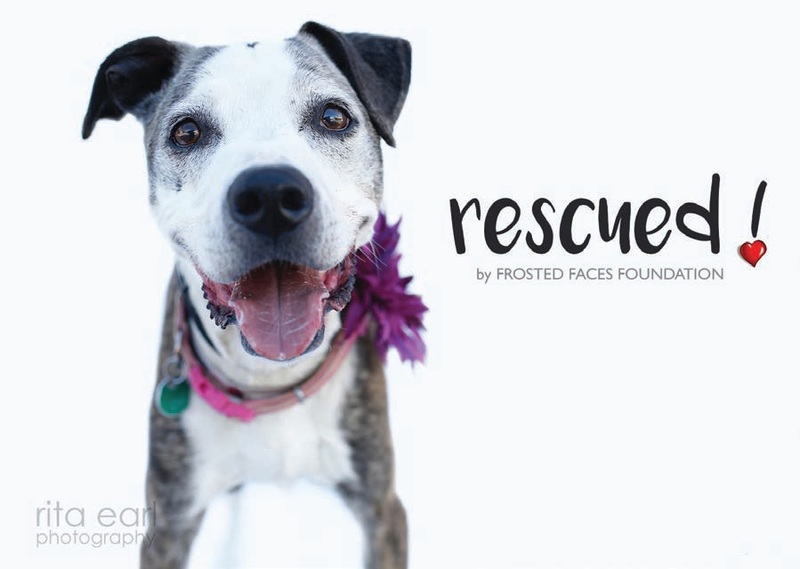 Frosted Faces also has a financial aid program aimed at supporting existing senior dog parents with unexpected hardships. More and more, people of all ages are electing to adopt senior dogs, and that is a good thing. In our fast-paced lives, we could all use a little reminder to slow down and enjoy some quiet moments with the love of an old dog. 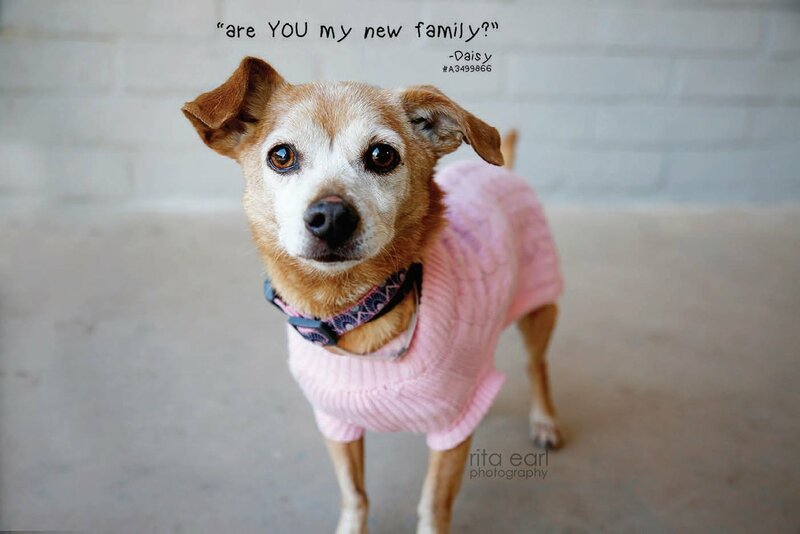 Are you ready to foster or adopt a senior dog? 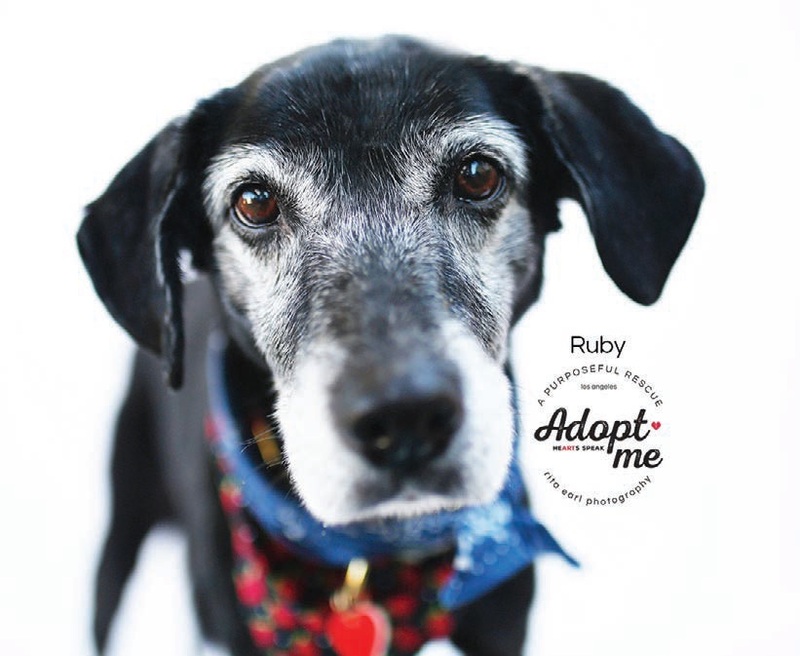 See the list of senior dog rescues on page 32 to help you find your perfect match. Be sure to check out PetFinder.com and Adoptapet.comto find senior dogs near you, or pay a visit to your local shelter.